Planning to get your B.C. driver’s licence? This app has everything you need to help you prepare for—and pass—the knowledge test for your learner’s (Class 7L) licence. • ICBC’s practice knowledge test. • The driving guide: learn to drive smart. Take the practice test anytime, anywhere —as often as you need. Free! Works on iPod touch, iPhone and iPad. The practice test consists of 25 multiple-choice questions randomly chosen from a database of 160 questions. Just like the real knowledge test, the questions are based on the information in the ICBC driving guide, learn to drive smart. As you answer questions, the app lets you know if you’re on track and where to look in learn to drive smart for more info. You can also watch safe driving tips on video and look up the location of your nearest licensing office when you’re ready to book your actual knowledge test. Share your test results with your friends on Facebook, Twitter or email. Taking the practice knowledge test can help prepare you for the real one, but to pass, you need to also study and understand the material in the learn to drive smart guide. The Insurance Corp. of British Columbia is committed to the safety of our 3.3 million customers on the road. We license and insure drivers and vehicles across the province through our service centres, plus a network of more than 900 independent brokers and Service BC centres. 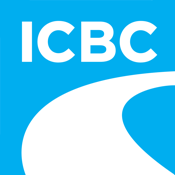 Find out more on icbc.com. If you download or use this application, your use of this application is subject to the terms and conditions of the End User License Agreement located at www.icbc.com/mobile-legal. Please review the End User License Agreement. This application is licensed to you and not sold.